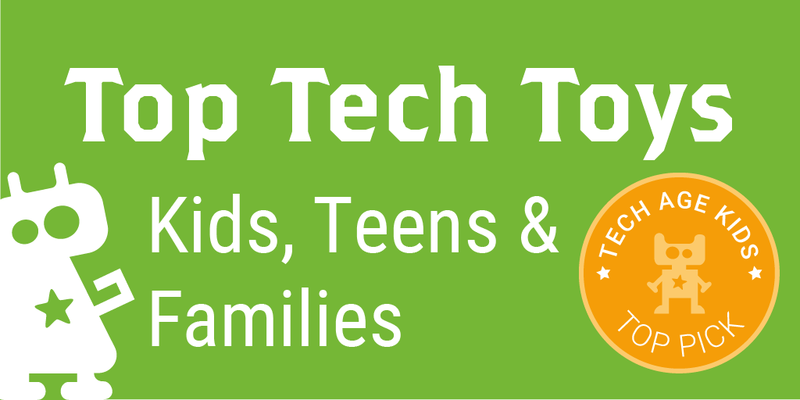 We've put together a list of our top tech toys for children and families. This list is packed with toys and gadgets that are fun and smart. 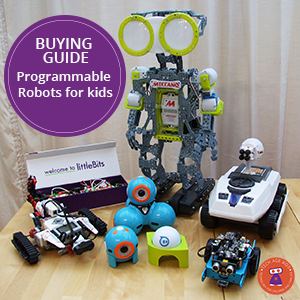 There's something for everyone in the family from the very youngest with the recently updated Teddy Ruxpin, to very affordable and cool tech with the Merge Cube and tech toys that will appeal to girls and boys whatever their interest. Not all tech toys have to be educational, but if that's what you're looking for check out our STEM and Coding Gift Guides. Our suggestions, however, do have a tech (STEM) spin and we've covered a variety of price ranges and selected toys that encourage families to spend quality time together. 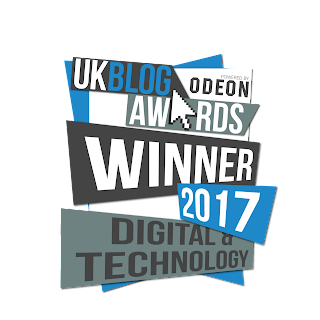 Our list is in recommended age order and in some cases we've written a detailed review of the product. 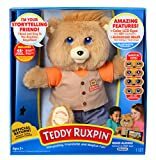 Teddy Ruxpin would be a nostalgic toy for many parents, but in 2017 Teddy Ruxpin has had an upgrade. The bear is interactive and can communicate with your child and tell stories. His LCD eyes come alive with over 40 animations. You can play with the teddy with or without an accompanying app. We'll let you decide if it was a good idea to add tech to Teddy Ruxpin! 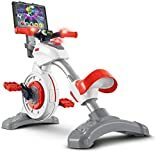 We first spotted the Tink and Learn Smart Cycle at CES at the beginning of the year and thought it was a great way to get kids active using tech. The static cycle works with an app with is available on all platforms for tablet and TV use. The child needs to physcially cycle in the real world to make things happen in the digital world. Our kids are getting more and more familiar with this concept, so not a bad idea to introduce them to this piece of smart tech early. Imagine kids working up a sweat during screen time. The Kidizoom Flix (currently only available in the UK) uses a cool piece of artificial intelligence technology to recognise human faces. It's a camera and video recorder that you can set up and leave to do it's work. If kids want to guard their room from intruders, this is a good tech toy to get. 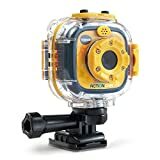 We've listed the Kidizoom action cam for the US which comes with a waterproof case, perfect for active kids that like taking photos and videos. Read our review of the Kidizoom Action Cam. The Nintendo Switch is the latest game console from Nintendo. It's a major upgrade from the popular Nintendo Wii and it looks very cool. The library of games available to play on the Switch is ever growing and there are games for the whole family. The Switch can be used in a mulitple of ways - single player handheld console, or connected to the TV using Switch as the controller, or multiplayer where each player gets a controller like the old Nintendo Wii controllers. Unfortunately we've not been able to get a hands-on review of the Nintendo Switch, but it definitely is worth a look if you're looking to upgrade your console this year. Sphero Spiderman is essentially an virtual assistant, like Amazon Alexa, in the shape of Spiderman. It's super fun and has a lot of functionality. You can set alarms, chat to it, play games, get updates and so much more. Sphero is one of our go-to companies to tech toys for kids, they have a lot of experience buid tech that appeals to children. Definitely check out the Sphero mini, which is featured on our Coding Toys Gift List this year. Hatchimals was very popular last year, and they are back again this year with their Hatchimals Surpise range. Some toys in this range doesn't have any tech, but we liked the Hatchimal Surprise Twin, which hatched two cute furry creatures from one egg. The twin creatures can interact with each other and will make a great gift for siblings that enjoy playing together. Every year Zoomer brings out a new interactive pet and this year we really like the look of the Show Pony. 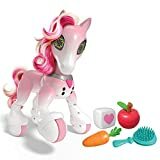 It's targeted at girls with the my little pony theme, but actually packed with cool tech, including LED eyes, sounds and the ability to train your pony. It does however have hair which you can brush and style. We got to play with the Aura Drone at the London Toy Fair at the beginning of this year and it's very cool. 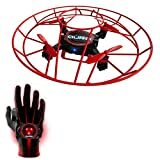 You control the drone using a glove and hand gesture technology. Tech in toys doesn't get cooler than this. At the time it was still a prototype, but it looks like the company have worked hard to pave the way to the consumer. The drone comes in a protective cage and features a lot of auto flying. If you've never tried it, flying a drone is actually quite a skill! Osmo is a fantastic tech product that combines digital and physical play. This year they've launched a number of new products and add-ons to their game system. They also launched a game system that can work with an iPod / iPhone. The MindRacers is a modern version of Hotwheel races. You use tokens in the real worl to affect te game in the app. Plus you get real Hotwheel cars! 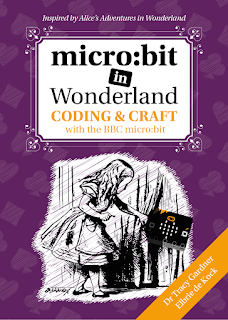 Mindracers is not yet available in the UK, so take a look at another new product Code Jam which we list in our Coding Gift Guide. just in time for Christmas and we got a Kickstarter kit, but this year they have introduced more beasts and also an update to the game app for competitive a play mode. 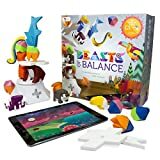 Read our review of Beast of Balance and check out the new beasts, including Lalnalion and also the awesome playmat which is now sold separately. Adding tech to clothing and accessories is becoming more popular and this Pixel Purse by Project mc2, will make a great accessory for a tech loving kid. The purse comes with 10 pre-programmed pixel animations. You can use an app (iOS and Andriod) to programme your own designs. It's a shame the purse is pink, as it's a pretty cool piece of tech that boys would enjoy programming too! The casing to house the electronics is made of plastic with a softcovering on the outside. We're big fans of the Klutz kits and love this LEGO movie kit. If you're kids have LEGO, they probably have tried to create a stop motion animation movie - there's lots on Youtube! The Klutz kit provide some guidance on how to make stop motion animation, and provide inspiration in a the 80 page book. The kit comes with LEGO mini figures and piece to build and use in the movie. This is a great techie gift and comes with a free app for tablets and smartphones. 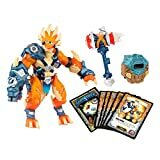 Lightseekers is a fantastic toy-to-life product that launched this year. It's a mobile game which can be played using the action figures as game controllers. There's also a card game that provie powerups in the digital game, but can also be played as a board game. We had the pleasure of spending a bit of time with the creators of Lightseekers and written a number of reviews. BattleBots is an exciting toy and provides a lot of entertainment value. 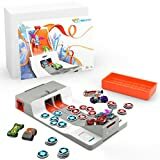 If your kids are big fans of Robot Wars or BattleBots TV series the HEXBUG BattleBots is a great way for them to have robot battles at home. You can play with the Robots (two included in the set) without the arena, but just make sure you keep an eye on small pieces which are only attached to the robots with weak magnets. Read our reviewof Hexbug BattleBots. Drones are excellent tech gifts, but you have to be very careful which one you buy for kids. All drones are not equal and they are hard to fly. The Air Hogs Race Drone however is actually a pretty good choice for kids because is has an autopilot built in to assist with flying. You can turn it off later, but you probably want to make sure you have a clear space before doing so. It's a tiny drone and comes with a set of replacement propellers. It's also USB rechargeable which is useful as drones really run down batteries fast. SoundMoov used motion sensors to generate sounds from your movement. Another cool piece of tech that gets kids moving. 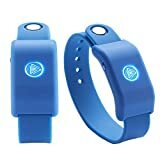 You wear the bands and then play sounds and music through a connected app. The bands are available in black, blue, pink and purple. You get two bands in a pack and need Bluetooth connectivity to operate with your tablet or phone. You can even create a bands with others using their own bands. This is definitely one our top picks in terms of creative use of technology that also gets kids active! 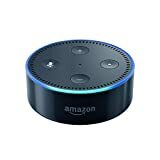 Alexa dot is a great gadget for a child's bedroom (with a few family rules included) to play music, ask questions, set alarms and listen to adio books. We actually got our 9 year old a dot for his birthday in the summer, because he wanted a music player in his room. It's worked for him and us so far. It's small and doesn't take up space in his room. 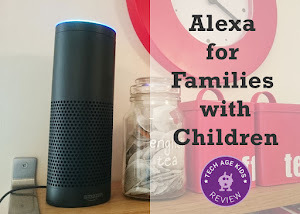 Read what we have to say about Amazon Alexa for families. Anki Overdrive is like Scalextrics racing packed with a lot of tech. This year Anki Overdrive launched their Fast and Furious set with high-tech supercars, Dom’s Ice Charger and Hobbs’ MXT, by the movie. You need a compatible mobile and app to connect the cars via a WiFi connection. There are expansion packs available and it's compatible with Supertrucks. We love K'Nex and their Web Weaver Roller Coaster kit is thrilling experience. You need to build the roller coaster and then a drone-like cart flies round the track at immense speed. The cart is rechargeable via USB, which is really useful as it does run out of juice fairly quickly. It's a big build and will take some time to complete (2 afternoons for my kids) and you'll need space to house it. Kids aren't going to want to break it down any time soon. Read our hands-on review. 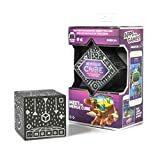 Merge Cube is a physical block that works with a tablet or smartphone that puts a virtual and augmented reality world in the palm of your hands. You don't need a headset to use it but it would improve your experience. The MergeVR headset is one of the compatible VR goggles you can use with Merge Cube. It comes with a free app with lots of content that is ever growing. Imagine holding the planets in your hand - Merge Cube makes this possible. It's currently not yet available in UK. XYZ Printing is our favourite entry level 3D printer for home use with families. This year they've brought out a new 3D printer that allows you to blend two colours. You need to use the brand's filament but it really lasts a long time, unless you're printing loads. Read our review of the XYZ Printing da Vinci Mini. Review of the da Vinci Mix coming soon.